Every year, the Bourgogne Wine Board (BIVB) organizes a competition entitled When Pure Chablis meets Art, for young artists to express their vision of the purity of Chablis wines. In 2015, the competition was dedicated to Food Design. Anna Cellamare and Maria Ghetti, students that year at the Académie Royale des Beaux-Arts in Brussels, won over the jury with their animation. The prototype they made back then gave rise to this wonderfully poetic short film. Their fun and informative video combines fruit, plants, and flowers to symbolize the aromatic palettes that are unique to each of the four Chablis AOCs. The film explains the notion of Kimmeridgian soil and explores the aromas of the Chablis appellations. Rediscover the Bourgogne Hautes Côtes appellations! Bourgogne Hautes Côtes de Beaune and Bourgogne Hautes Côtes de Nuits are two Régionale appellations that are becoming increasingly popular thanks to the good value for money they offer. These are two appellations you simply must introduce or reintroduce to your customers! They have evolved quite significantly over the past decade or so thanks to winegrowers who are focused on improving the quality of their wines. But first off, let’s take a look at the name. In Bourgogne Hautes Côtes de Beaune or Bourgogne Hautes Côte de Nuits, the word “Bourgogne” is very important. It serves as a reminder that these wines belong to the wider family of Bourgogne wines, and are part of the region’s identity. As for the names Hautes Côtes de Beaune and Hautes Côtes de Nuits, these tell you the terroir where the grapes are grown. In the Bourgogne region, this is of utmost importance, as confirmed by the inclusion of the Climats on the UNESCO World Heritage List. Today, thanks to a more precise approach to winegrowing and good yield management, the winemakers of the Hautes Côtes are producing better fruit. 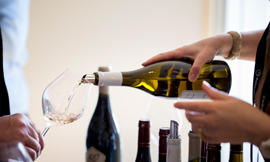 As a result, the wines are fine examples of what the Bourgogne can offer, with their own unique identity. For Nicolas Thévenot, President of the Hautes Côtes Union and owner of the Domaine Thévenot Le Brun et fils, if there’s one adjective that describes these wines, it’s “accessible”. They are easy to drink and offer excellent value for money. As for producers, they are delighted to open their cellars to visitors and to welcome people to discover or rediscover their wines. Looking down over the Côte, from Gevrey-Chambertin to the woods of Corton, the vineyards of the Hautes Côtes de Nuits are beautiful in all their natural glory. The wines can be red, white or rosé, but the grapes for making Bourgogne Hautes Côtes de Nuits must be Pinot Noir for reds and rosés, and Chardonnay for the whites, with a touch of Pinot Blanc or Pinot Gris permitted. The reds typically offer aromas of raspberry, cherry, and licorice, with sometimes even a whiff of violet. They are ideal partners for lightly spiced dishes and even those with a sweet and sour taste. The whites often have a nose of hawthorn, honeysuckle, apple, or lemon. They are great with steamed fish, snails, or foie gras served with sea salt. The vineyards of Hautes Côtes de Beaune look down over the Côte de Beaune from Maranges to Ladoix-Serrigny. They are made up of a series of valleys and hills. The vines are planted on sunny slopes at the foot of limestone cliffs. Here, the same colors and the same varietals as for Bourgogne Hautes Côtes de Nuits are permitted, but the different geological situation results in some different aromatic profiles. With the red wines, it’s not unusual to detect notes of peony, rose, morello cherry, blackcurrant, licorice, undergrowth, and spice. Try them with simple dishes like filet mignon of pork, or leg of lamb. The white wines reveal aromas of white blossom or honey, and make a great match for fish. The Bourgogne winegrowing region showed strong export figures for 2017, up 0.7% in terms of volume and up 10.7% in terms of revenue. 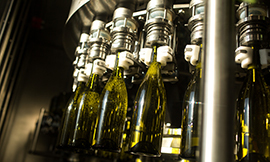 The volumes of Bourgogne wines being exported was stable in 2017 (up 0.7% over 2016), after a strong increase in 2016. This positive result is somewhat attenuated by the Chablis AOCs which were hit by the low harvest in 2016. But if one takes all other Bourgogne appellations into consideration, excluding the four Chablis AOCs, the number of bottles of Bourgogne wine exported in 2017 was up 6% on the previous year. The quality of Bourgogne wines, which hold good value on export markets, has allowed the Bourgogne winegrowing region to establish a new record in terms of revenue, with almost €906 million (up 10.7%). This growth in terms of revenue is explained by the way sales are focused on markets that are more open to premium and super premium wines. Indeed, since 2009, the Bourgogne region has lost ground in certain markets looking for greater volume and which are sensitive in terms of price, including Germany, Sweden, and the UK in particular. These small volumes of red wines have, in parallel, driven the region to redirect its efforts towards markets that tend more toward white wines, such as the USA, Canada, and Japan. In 2017, the five leading markets in terms of volume for Bourgogne wine exports have remained unchanged since 2011: USA, UK, Japan, Belgium, and Canada. This quintet alone accounted for 64% of volumes exported and 60% of revenue. The USA, Belgium, and Canada showed good growth, in terms of both volume (up 6%) and revenue (up 11%). Lagging slightly in terms of volume, the UK and Japan (down 4.9%) continued to show strong growth in terms of revenue (up 9.2%). Save the date: 24 May 2018. Everyone can take part in #ChardonnayDay, with a glass in one hand and a phone in the other! Chardonnay Day is an international event that returns on Thursday 24 May 2018. Although it began in California a decade ago, the Bourgogne winegrowing region soon positioned itself as leader of this exceptional day. For those who won’t have the chance to be in the region but want to celebrate the Chardonnay grape from Bourgogne nonetheless, you can share your tastings on social media with the hashtags #Bourgogne and #ChardonnayDay! This is a great opportunity to boost the visibility of your social media accounts, because this event is a very popular one amongst the general public - last year, the #ChardonnayDay hashtag was tweeted almost 11 million times. Wines from Chablis and the other areas of the Bourgogne region will also be busy on social media with their own events. Chablis will be kicking off the festivities with a #ChardonnayDay Tweetup involving market influencers with whom you will be able to connect. Head over to the @PureChablis Twitter account or check out the #PureChablis and #ChardonnayDay hashtags. Wine professionals will also be invited to take part in a morning of tastings on 24 May with the winemakers from the village of Chardonnay itself. For more information, please contact Emmanuel Nonain at contact@enoculture.fr. Bourgogne Wine Club: A series of unique events for sommeliers! The BIVB continues to develop strong ties to sommelier communities in the UK and Hong Kong. The Bourgogne Wine Board (BIVB) is hosting masterclasses to allow sommeliers to explore new appellations or to broaden their knowledge of appellations less familiar to them. These sessions are hosted in the UK by Xavier Rousset and in Hong Kong by Yang Lu, two sommeliers who are very well respected in their markets for their in-depth understanding of Bourgogne wines. The format is an interesting one, thanks to an educational approach with a convivial feel using blind tastings and quizzes. Participants can also compete in a competition to win some great prizes. If you are a sommelier and would like to take part in one of these unique events, please contact Julia Iaconelli julia.iaconelli@sopexa.com (Hong Kong) or Arnaud Maltoff arnaud.maltoff@sopexa.com (UK). The Regional Charter to “Engage our terroirs with our territories”, adopted by the BIVB’s General Assembly in July 2017, has entered its first phase of operations. The Regional Charter was drawn up by winemakers and is the fruit of the cooperation between the Bourgogne Wine Board (BIVB) and the Confédération des Appellations et des Vignerons de Bourgogne (CAVB) winegrowers’ union. The Charter aims to respond to public concerns regarding the use of vine treatments. Since the fall of 2017, the action plan has been gradually taking shape. After an important phase of awareness-raising this winter, different strategies are now being implemented and efforts are intensifying. In terms of the five-year Plan Régional, 2018 is a key year. It is a time for strengthening dialog in the region, for fostering a better understanding of the winegrowing trade, and starting to establish a test phase for best practices before widening them out across the region. This winter, around 10 meetings were organized in the region by the BIVB, the CAVB and Chambers of Agriculture. They provided an opportunity to discuss multiple subjects, including the use of vine treatments during the 2017 campaign, the Regional Charter, and the national plan to combat grapevine decline. More than 300 industry people attended them. In parallel, members of the steering committee met with suppliers of vine treatments in the region. These constructive exchanges allowed them to define areas where they can work together in future. Similar meetings were held with suppliers of winemaking equipment, with the support of the departmental Chambers of Agriculture, to look at spraying. Click here to find out which technical projects are being set up. After London and Hong Kong, it’s the turn of Tokyo to host Bourgogne Week from 4-8 June! For this first Japanese edition of Bourgogne Week, the Bourgogne Wine Board (BIVB) is inviting importers, wine stores, restaurants, and wine bars in the city to host Bourgogne wine-themed events such as tastings, winegrowers’ dinners, and in-store and online promotions. The BIVB is orchestrating the promotion of these events, mainly through a dedicated website and a powerful marketing campaign on Facebook and Instagram, with the hashtag #BourgogneWeek. The highpoint of the week involves four events organized by the BIVB. To open the week, on June, 5th, Chablis wines invite the press, influencers and some amateurs to a unique event where 11 different wines, from Petit Chablis to Chablis Grand Cru, will be presented during a commented tasting and a free tasting. The event will take place at the Polygon Aoyama. By invitation only. And as is the case in London and Hong Kong, Bourgogne Week Tokyo aims to become an annual event. Japan is the third biggest market for Bourgogne wine exports, accounting for 11% of revenue for 9% of total volumes exported in 2017. Although exports of Bourgogne wines to Japan have been affected by an overall slowdown, down 3.3% in terms of volume, yet up 5.8% in terms of revenue in 2017 over 2016, this market is still a priority for the BIVB. 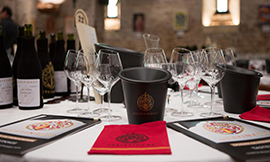 The Tastevinage de Printemps 2018 tasting was held under the patronage of Christine Avelin, the General Director of the FranceAgriMer state body. 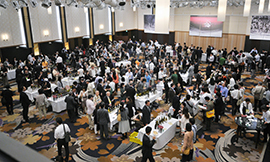 Following the tasting, 181 wines were awarded the Tastevinage label. Three key destinations (Beaune, Chablis and Mâcon) where visitors can get to grips with the Bourgogne region, its wine, and its terroir. The Cité des Vins et des Climats de Bourgogne network covers three key sites to welcome everyone looking to find out more about the infinite richness of the Bourgogne winegrowing region. The three sites in Beaune, Chablis, and Mâcon, will each share the same objectives: To introduce visitors to the wines of the whole Bourgogne region and to help them to understand the notion of Climats! 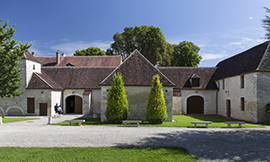 In each of the sites, the Cité des Vins et des Climats will offer a visitor trail (with an entry ticket) along with common areas with free access to services including workshops and training on Bourgogne wines, a discovery area for food and wine pairings, a specialist bookstore and gift shop, spaces to welcome business meetings, and a digital platform of tourist information. The three sites will offer visitors a complete overview of winegrowing in the Bourgogne region. Thanks to the popularity we anticipate it will enjoy, the Cité des Vins et des Climats in Beaune will present the entire Bourgogne winegrowing region. It will be spread across 3,600m² and will offer a range of different activities and services including experimentation workshops, demonstrations, wine tastings, temporary exhibitions, and the chance to meet and exchange with wine industry professionals. It will also be home to a five-star hotel, a large reception area and concert venue, a shopping mall offering upscale merchandise, and two restaurants. The Climats Month is back! 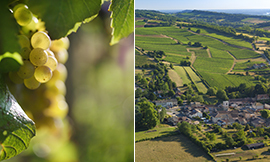 From 8 June to 8 July, from Dijon to south of Beaune, come and explore the Climats of the Bourgogne winegrowing region! The Climats Month comprises 70 different events that are all dedicated to the Climats of the Bourgogne winegrowing region, included on the UNESCO World Heritage List in 2015. The event offers a whole month of exhibitions, walks in the vines, guided tours, conferences, shows, and tastings, taking place on estates, in cellars, and in entire villages across the region. 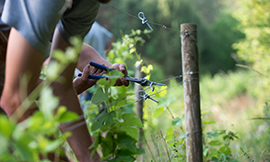 The aim is to highlight the heritage and history of the Climats of the Bourgogne winegrowing region, that patchwork of unique plots of vines that give Bourgogne wines their unique character. This event is special in that the program is built upon a maximum of events organized by local associations, groups, and enterprises. It offers a wealth of great ideas and original concepts, and its success is based upon low admission charges and an enticing program. 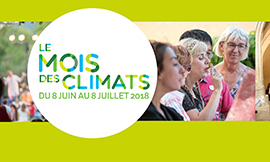 And of course, the main aim of The Climats Month is to celebrate the 4 July anniversary of the inclusion of the Climats on UNESCO’s World Heritage List with a public gathering in an emblematic location for a communal picnic and concert, with entertainment for all age groups. Click here for more information – The full program will be available in the coming weeks. Masterclass hosted by Sybille Troubleyn, Bourgogne Wine Ambassador, on the theme of Petit Chablis and Chablis, Village appellations (only for wine store owners, sommeliers, restaurateurs, importers, buyers for major retailers, journalists, and market influencers). "Les Instants Chablis": Masterclass and free tasting of a range of Chablis wines - from Petit Chablis up to Chablis Grand Cru (only for the press and the trade).